Hive duplication is something I have always been interested in. The ability to make a new hive from an existing one means you can use any hive box to start your new colony in. The support offered by the mother colony means your new hive will not die out and work to the new nest is completed quickly. The hive box is also not susceptible to pests because of the sheer amount of workers that come from the mother colony. One problem I faced, is that I am not as patient as some of the older stingless bee keepers. I want to see results and know that the bees are working at full capacity without fear of something going wrong. 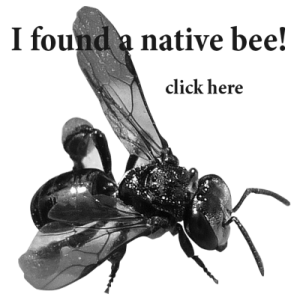 This method is one that I have been using ever since I got my first log of native bees. You can use a log and/or an existing strong colony of bees in a hive. For the purpose of this post I made a video. You will need to spend more time making sure your natural hive duplication is looked after. This video is a guide only and does not represent the true amount of time it takes to do a duplication. 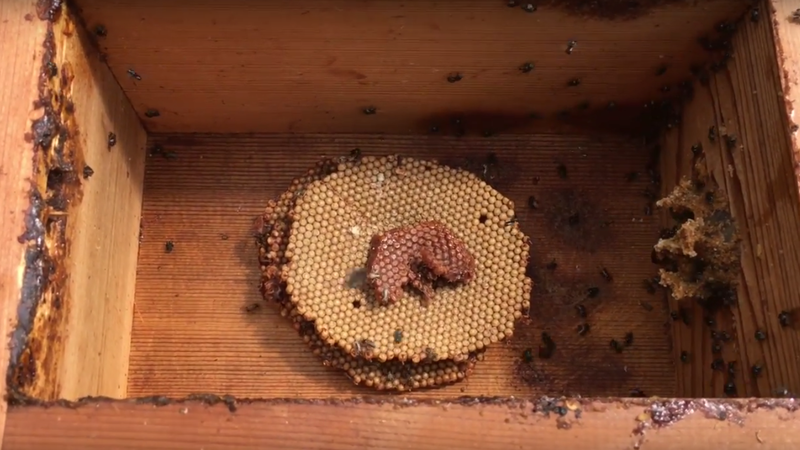 -Make sure you have an entrance tunnel before adding brood with a queen cell. -Give the bees time to store pollen and honey for even better results. -Be patient. Even though this method is very fast patience is still required. -Wait till you see a tunnel and honey pots in your own duplication before adding brood. -A minimum of 1000 bees is required for this method to work. If there aren’t enough bees in your hive then don’t disconnect. Hi Nick, I have a TC duplication happening right now and the bees have wasted no time in building it out once I added three layers of brood, can I disconnect it yet? It’s been three weeks tomorrow since I added the brood. I posted a vid of the hive after 1 week at beemanminno my instagram account. I guess I’m shocked at how quickly they work. They have had the extra hive adapted to the log since before Christmas last year. I have heard that the queen from the parent hive might kill a new queen if it finds her is this true? Hi there good questions. You will need a fair amount of bees in your hive before the disconnect. Double what’s in my video. My experience tells me a queen can hatch and stay in the eduction box for some time before the mother hive sends workers to kill her. If you look in your hive everyday and watch the speed the bees walk. After sometime you will see a day where their behavior changes. They busily run about and it looks like excited behavior. This happens when a new queen is out and is the best time to disconnect. Now if you miss this day keep watching the brood. You should see your 3 sheets hatch out and if you have added a queen cell, watch that also. If all the brood disappears and no involucrum (flat wax coving brood) remains. The queen is gone. If you have added advancing front to act as the queen cell, you will need to force the bees into panic mode by disconnecting the mother box. This will make the bees worry about having a queen. Look at night and they should all be on top of the advancing front brood opening several cells and enlarging them. I have several hives of TC and one of Hockingsi which is still in itd original log. I also have one at a friend place in a block wall which I tried to get over a yesr ago but now I will change my method slightly thanks to you. Also in one of your other videos You show your method of vertical split with special plactic chambers. Are these available from you or do you have a link. Nick one thing just to mind is that most of my hives are of OATH style 200×280 but wall thickness varies from hive to hive. Guess I would need to get some of your plastic brood inner modules and make all my new hives to suit. Then gradually transfer existing bees to new hives or can the modules be made up by me to any size. Hey Brian thanks for stopping by. These frames are made predominantly for Austroplebeia australis because of the way they build their brood. You could modify and oath box to fit them. Are you thinking for Tetragonula species?